Here you'll find all the rooms in our California home. Links under images go to specific blog posts with more pictures and information. We moved into this house in 2009. We started a major remodel on the first floor in 2010. The bulk of it was finished by 2012. In 2014 and 2015 we renovated the master suite. In early 2016 we sold the house and moved into an apartment for the time being. I re-styled our bedroom and you can find it here. In 2017 we moved to Washington and bought our dream home in Seattle. Bay Sands is closest Valspar match. Color was color matched to drapes. Bay Sands is closest Valspar match. Color was color matched to the curtains. 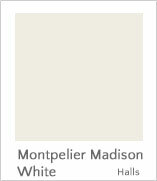 Montpelier Madison White is closest Valspar match. 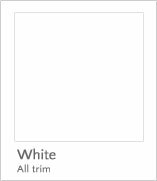 Color was matched to curtains in living/dining room, then lightened with white. Bay Sands is closest Valspar match. Color was color matched to curtains. This bathroom was featured in a two page article in the May 2014 subscriber's issue of Better Homes & Gardens. B's bedroom - before and original reveal 2009 - building a bed. Better Homes and Gardens photo shoot - vini, vidi, vici - lunch in the back yard.